SALA Enterprises, a pioneer in the field of Information and Communication technology and related products was recently appointed as Sri Lanka's authorized dealer for Hunt Key, a remarkably popular brand all over the world, which offers a range of high quality electrical products. With SALA becoming the authorized dealer, Sri Lankan customers will be able to experience its latest products such as power strips, power banks and notebook adapters. These are electrical gadgets that utilize the cutting-edge technology and give the user a distinct advantage by ensuring safety, speed and convenience. 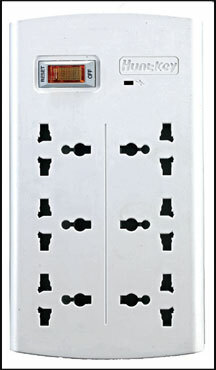 The Hunt key Power strips are available in five models, which have specific features that make them distinctly different from other products of its kind. Sockets made of copper ensure high conductivity and the proven superior quality of the products make them in everyway safe, durable and reliable. SALA caters to an enduring need of the market offering a comprehensive solution to the customer's requirement for reliable power-strips. 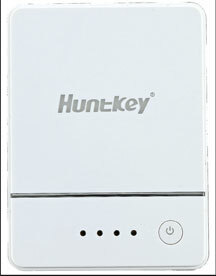 Power Bank, another new introduction to Sri Lanka is a handy colleague for those who have to make quick trips regularly. This portable device, which enables recharging digital products, including smart phones, digital cameras and mp3/mp4 players extra quickly is available in three models. Significant features of the product include its ability to provide power for any 5V-DC electronic devices, to monitor and display remaining power and its multiple protection methods; Overcharge protection, overload protection, short circuit protection and over discharging protection. SALA enterprises also unveils the brand new notebook adapters, which are of convenient size and weight, preventing the hassle and inconvenience, a user of an ordinary adapter will have to go through. These notebook adapters can be purchased in three models. Their ultra small size with power capacities of 65 Watts and 45 Watts and the multiple protection method, which ensure their safety, are expected to give the Sri Lankan customer a unique experience of the latest and the best global technology.